My husband doesn’t Like most doctors but he likes and respects Dr Martin. He is getting his diabetes and blood pressure under control. He genuinely cares about his patients health. Great place and Dr. Martin is a very caring doctor. 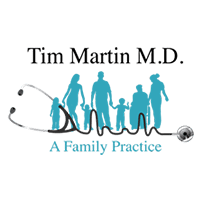 Dr Martin and his staff genuinely care about their patients and listen to what we have to say. He tells it like he sees it and has great advise and is willing to work with you to keep you healthy and on the right track! The staff up front were extremely polite and helpful, especially since I'm somewhat computer illiterate. Dr. Martin provided me with good counseling for help after heart attacks. The young lady who did further screening for Carotid Arteries and Aorta screen was kind and answered my questions about the process. They have my goals for optimal health in mind and are helping me achieve them! Always pleasant staff and Dr. Martin is very thourogh and answers any questions I may have. He goes above and beyond to make each patient feel important. He is always respectful and very knowledgeable. Dr. Martin is very friendly, knowledgeable, and down-to-earth. My husband and I really like him. He’s easy to talk to, explained things we had questions about, made us laugh, and didn’t rush us in/out. We definitely recommend him to anyone looking for a primary dr. I was seen a bit early for my appointment which was nice. 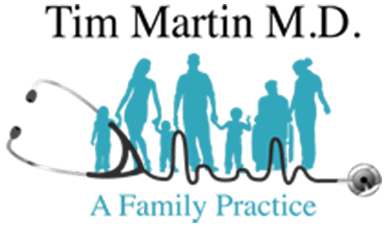 Dr. Martin and his staff are extremely professional and polite. Every visit to their office is a positive experience for me. I wouldn’t entrust my health care to anyone else! The office staff was nice, friendly and Helpful. Tim Martin and his nurse were equally as friendly and nice. He was respectful and informative and showed genuine care for me and my concerns. Absolutely pleased all around with my experience. ᗪᖇ. ᗰᗩᖇTIᑎ ᕼᗩᔕ ᗷEEᑎ ᗰY ᗪOᑕTOᖇ ᖴOᖇ OᐯEᖇ ᗩ ᗪEᑕᗩᗪE. I ᕼIGᕼᒪY ᖇEᑕOᗰᗰEᑎᗪ ᕼIᗰ. ᕼE Iᔕ ᗩ ᑕOᗰᑭᗩᔕᔕIOᑎᗩTE, ᑕᗩᖇIᑎG ᗪOᑕTOᖇ ᗯᕼO Iᔕ ᕼIGᕼᒪY KᑎOᗯᒪEᗪGᗩᗷᒪE. ᕼE ᗩᒪᗯᗩYᔕ TᗩKEᔕ TIᗰE TO ᒪIᔕTEᑎ TO ᕼIᔕ ᑭᗩTIEᑎTᔕ ᗩᑎᗪ ᗪIᔕᑕᑌᔕᔕ ᗯITᕼ TᕼEᗰ. ᗰY ᖴᗩᐯOᖇITE ᗪOᑕ Oᖴ ᗩᒪᒪ TIᗰE!!! Dr. Martin is very professional and kind. My visits are always a good experience. Told me what I needed to hear, not what I wanted to hear. I get easy-to-understand answers and suggestions to help me take care of my own health.